Three Foxconn employees are accused of leaking the iPad 2 design to accessory maker and are being charged with it, DigiTimes reports. 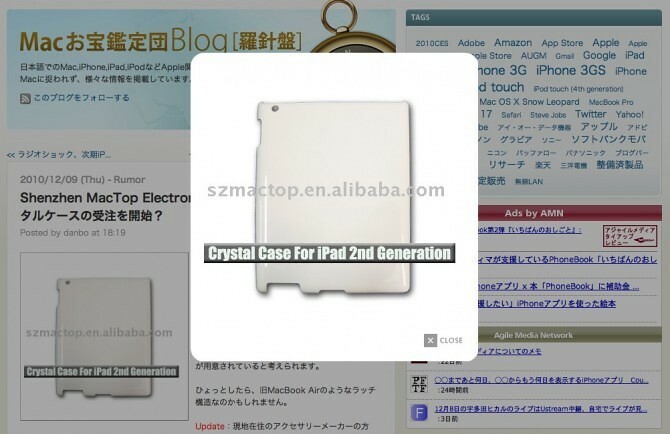 Several online shopping retailers in China were able to sell iPad 2′s protective case products before the iPad 2 was even launched, leading Foxconn to suspect that there might have been some employees leaking the design of iPad 2 which it reported to the local police. The local police on December 26, 2010, arrested three employees that were suspected of leaking the design, and officially charged the three employees for violating the company’s trade secrets on March 23, 2011, the reported added. First iPad 2 cases surfaced last December, a possible indication that some accessory makers may have been given iPad 2 design specs four full months ahead of the official introduction. Our original post was asked to be taken down, yet many more designs appeared. A lot of Apple-related leaks originate these days from Asian suppliers and contract manufacturers, but it has been rare to see those companies press charges against sources.